The promotion commenced late last year with a jackpot starting at $40,000 — increasing by $2,000 after every draw once there is no winner. Lynn Andrew, mother of two, is a regular lottery player. She purchased the winning Quick Pick ticket at one of the NLA’s sub-offices at Grenville, St Andrew. 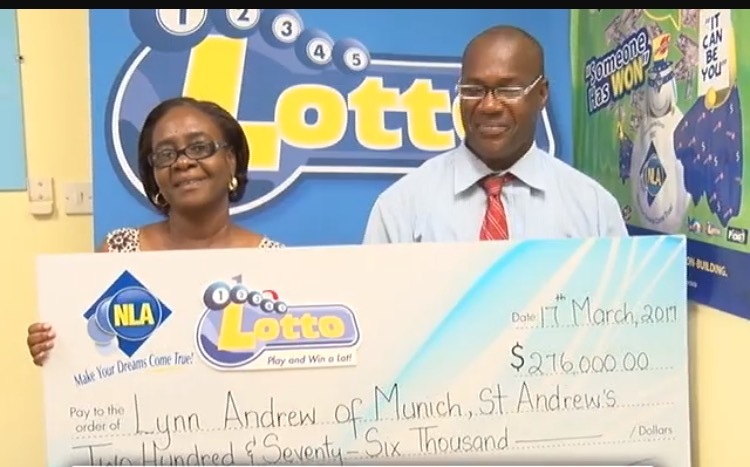 With her winning of $276,000, an elated Ms Andrew said it would go a long way, as her daughters are attending secondary school, one of whom is expected to sit CXC beginning in May 2017. Andrew also promised her children to take them on a trip to Disney if she ever won the lottery. General Manager of the NLA, Geoffrey Gilbert, commented on the NLA Lotto Boost Promotion. “The National Lottery Authority has been doing our best to promote our home-grown lotto product.” He congratulated Ms Andrew, who is the 2nd winner since the promotion began 5 months ago.